The Process of Order on ZuoBiSiJewelry.com is as following. Step 1, Find your interested jewelry, fill your wanted purchasing quantities then click the button of ADD TO CARD to confirm; like as following pictures. * Way 1 for selecting pendants, necklaces,bracelets,earrings and so on. Step 2, After finishing selecting your wanted jewelry and you want to go on submitting your order, following ways can push it forward. * Option 1, click button of Go cart settle accounts to enter into your shopping cart. * Option 2, click button of My Cart on the right top of website to enter into your shopping cart directly. 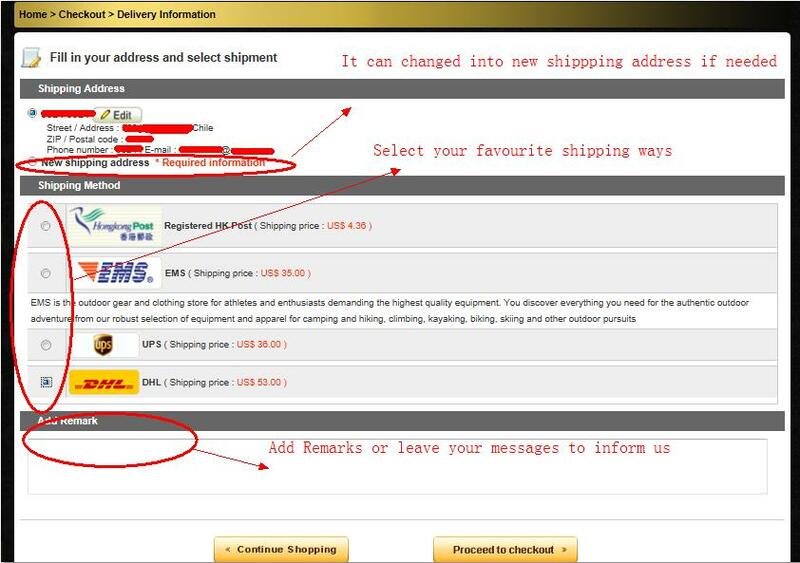 Step 3, after entering your shopping cart, you will find following details page. Then you can do following actions to update your shopping cart details. * A. To delete/ remove items: find the items that you want to delete, and click "Remove Item" at the right line. * C. To go on shopping: just click "Continue shopping" button . * D. To go on paying: just click “Proceed to checkout” button . Here, you can Checkout As Guest or Create Your Account if you are new on ZuoBiSiJewelry.com, or you can sign in if you have been our valuable customer. It is advised that creating your account on our Jewelry Online store, then you can check your order any time on our website, such as your order details, shipping details, etc.. 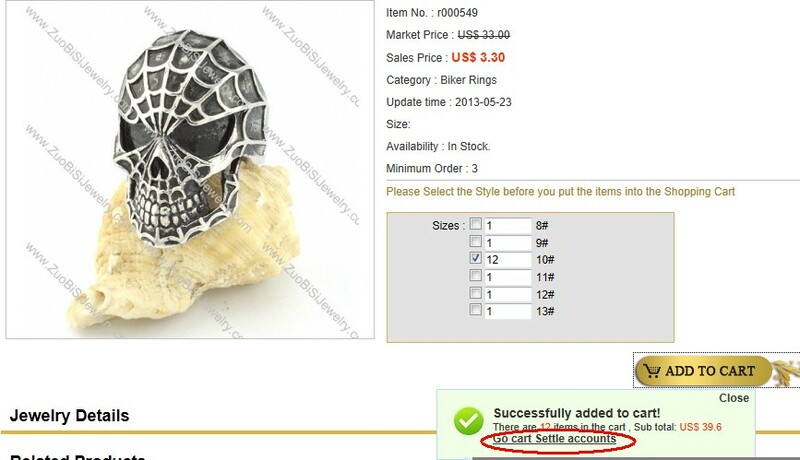 Regarding how to CREATE YOUR ACCOUNT, please refer to HOW-TO-REGISTER-ON-ZuoBiSiJewelry.com page. c. At the bottom of this page, you can add any necessary Remarks or leave your messages to inform us. 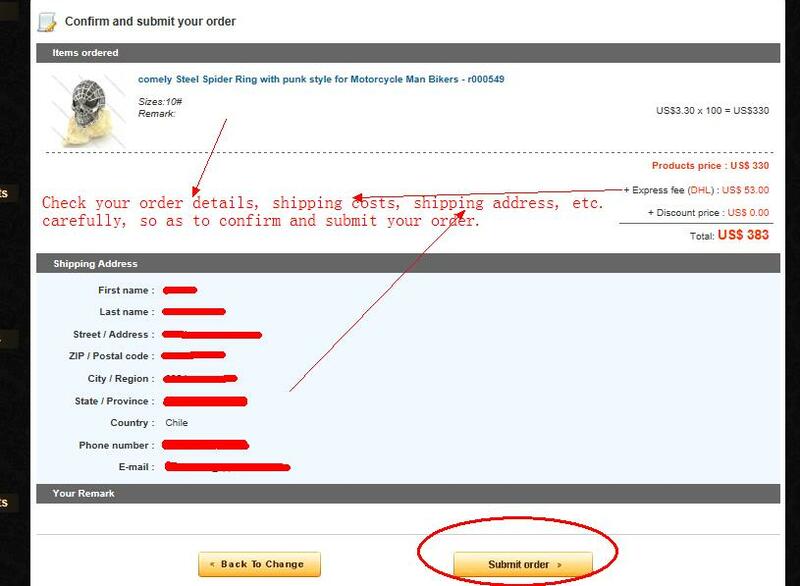 Step 6, continue clicking “Proceed to checkout” to enter into Confirm and submit your order as following picture. Step 7, continue clicking Submit order button to submit your order to us, then it will show you that YOUR ORDER HAS BEEN PLACED SUCCESSFULLY as following picture. 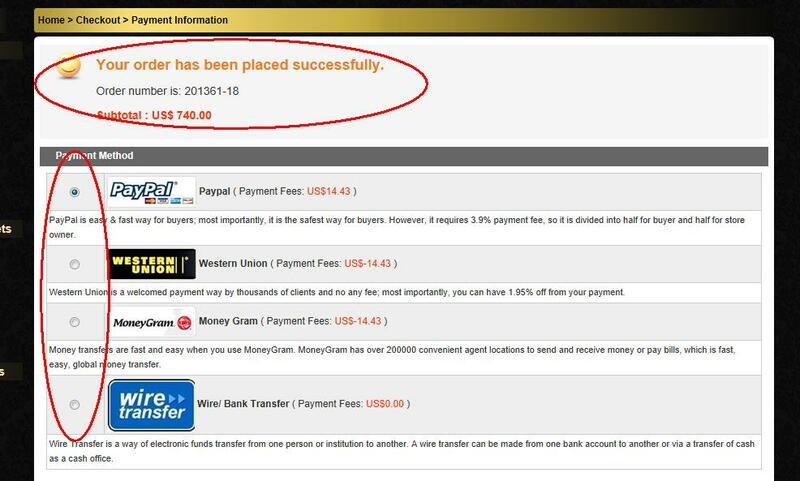 Then you need to click Use Credit-Card payment button to finish payment via PayPal.